← 16 Miler and Nutrition! Charleston Part 2 Through the Eyes of a Runner. 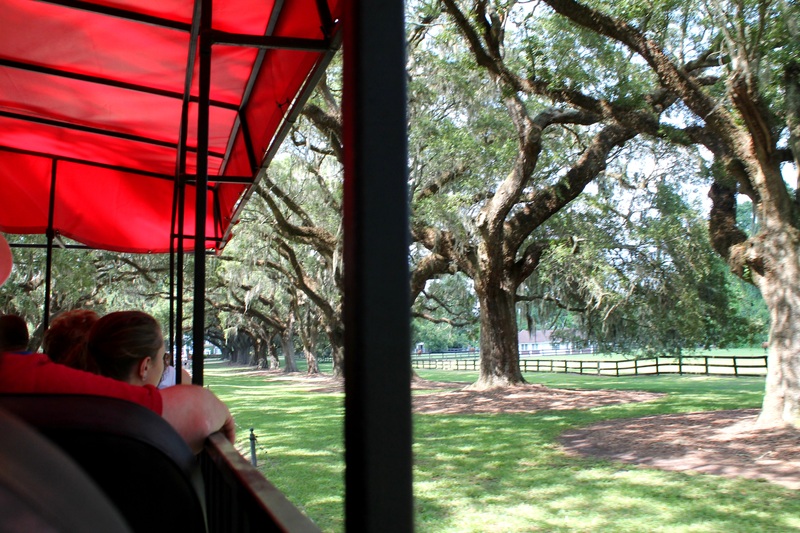 I began to tell you about a lovely Southern trip to Charleston with my grandparents last week. Today I wanted to tell you about day 2! The southern sun broke through the cracks in the curtains as the birds began their morning chirping Thursday morning. I woke in my comfortable Queen sized bed excited for the day to follow. Not ten minutes after I awoke I received a call saying my breakfast was on the way. Once the sweet Inn employee delivered my breakfast tray to my room I poured myself a cup of coffee and did my devotional before taking my novel out to the courtyard to read with coffee cup number two. After a shower and getting dressed I took a stroll into the market area of Charleston and watched as all the vendors took out their goods to set up shop. It was a slow and lazy morning, but it seems as though every morning in Charleston in the summer is slow and lazy. People lingered in the streets chatting to their neighbors before the heat of the day brought everyone inside. 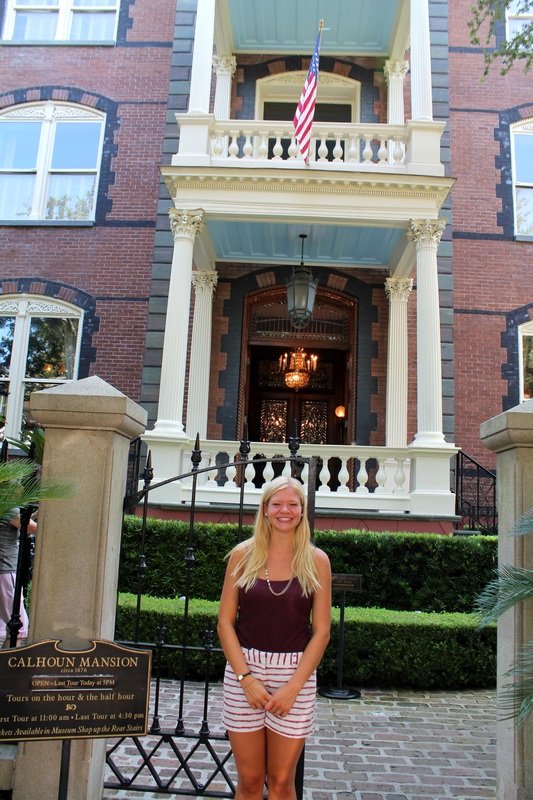 Upon my return to the Elliot House, we checked out and began our trek to the Calhoun Mansion (a beautiful, historic home that offered public tours). The walk to the mansion was filled with photos, chatting with Grandma, and just enjoying the slow pace of the morning. After a walk through the gardens we purchased our tour passes and met on the beautiful columned porch to discuss the previous owners and current owner of the Calhoun mansion. Fun facts were spouted off like the original seaman and trader who owned the house’s love for rope, the fact the navy once stayed there as a safe house, that the inside of the house was used for the filming of Allie’s summer house in the Notebook, and the fact that it was currently privately owned by one owner. Due to the mansion’s private owner photos of the inside were not allowed but WOW! It was something. 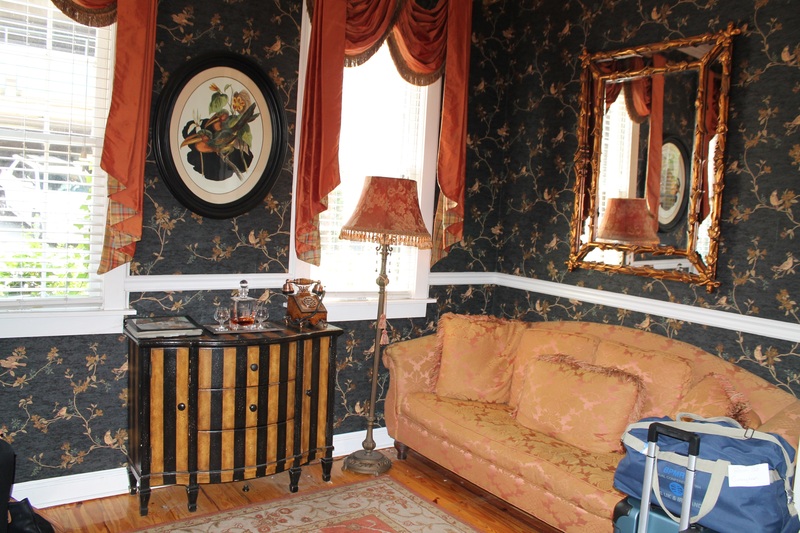 The owner loved to collect priceless antiques and the inside of the house was packed with piece after piece of expensive décor. Our tour guide, a local student, was very knowledgeable, quite adorable, and made the tour fun! Everything from original Tiffany lamps to emperor’s seats adorned this already stunning home. 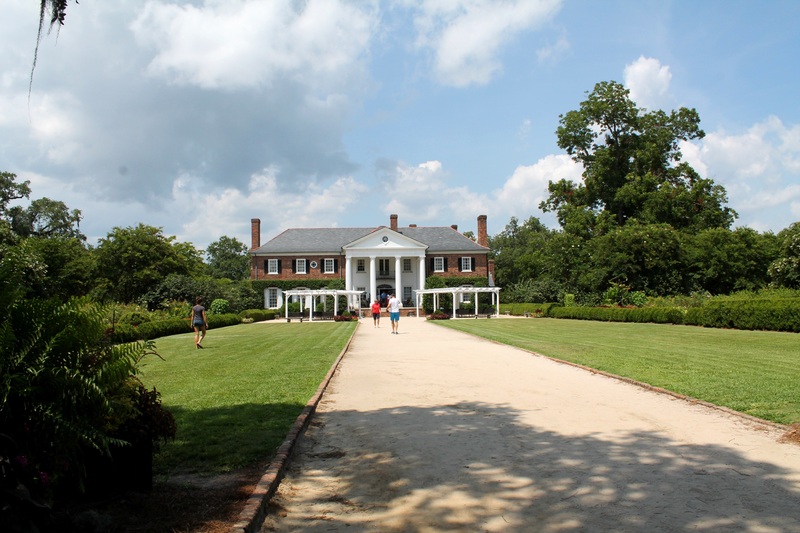 After our tour concluded we walked back to the Elliot House Inn and along the way decided to stop for lunch before beginning our drive out to our next tour: Boone Hall Plantation. We ducked into 82 Queen Street for lunch. I had a delicious sampler plate of boiled peanut hummus, pickled vegetables, goat cheese, veggies, and a salsa. 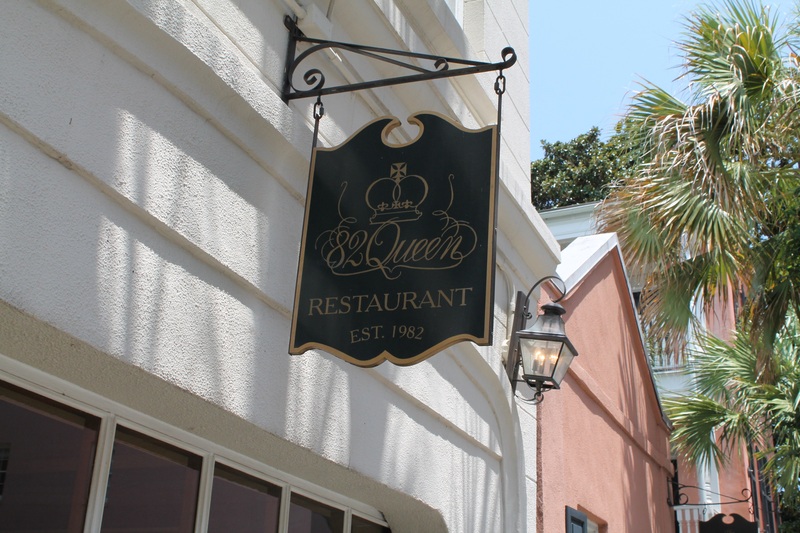 It was a perfect light meal before leaving the historic district of Charleston. On the way out of town, Grandma and I requested we stopped by this Inn we had passed the day before. The name is now escaping me, but it was beautiful! 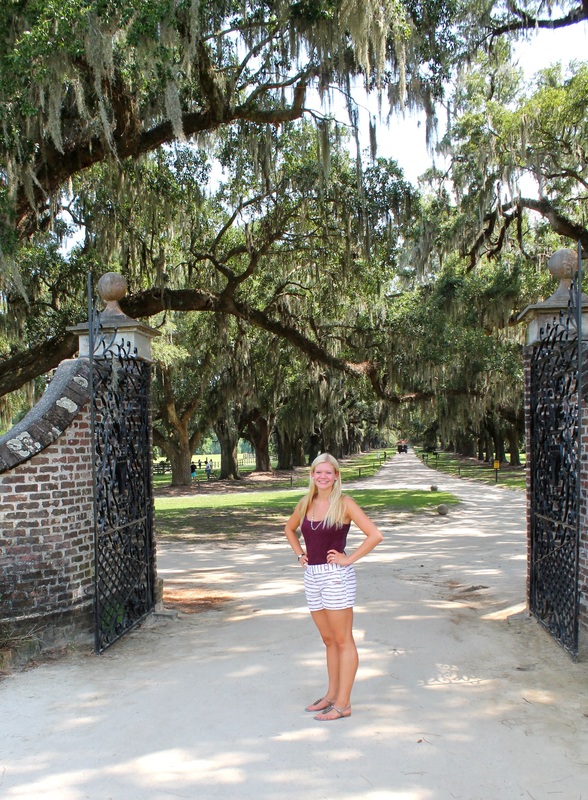 After a short drive to Mount Pleasant we arrived at Boone Hall Plantation. Driving through the avenue of oaks was amazing. These old, beautiful trees that swayed in the wind before strengthening their roots and locking themselves in seemed to whisper stories of eras and people come and gone. 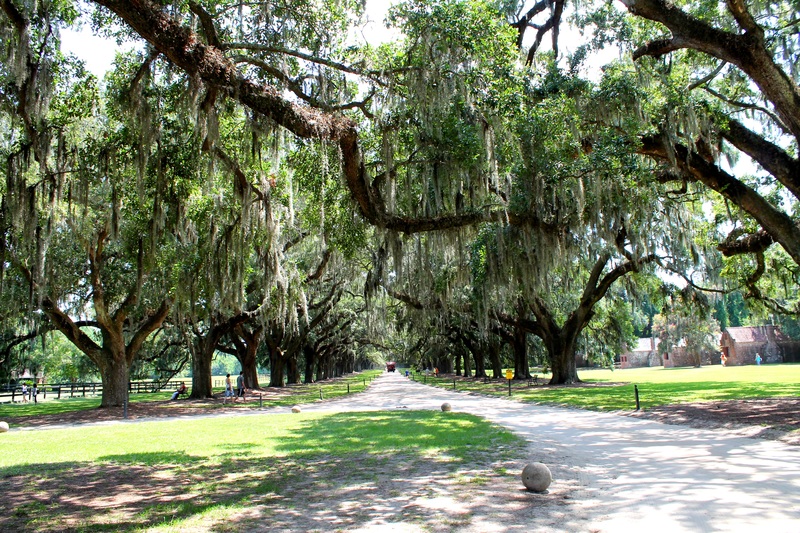 Beside the Avenue of Oaks were the slave houses all leading up to the old mill, the house, and the stables. 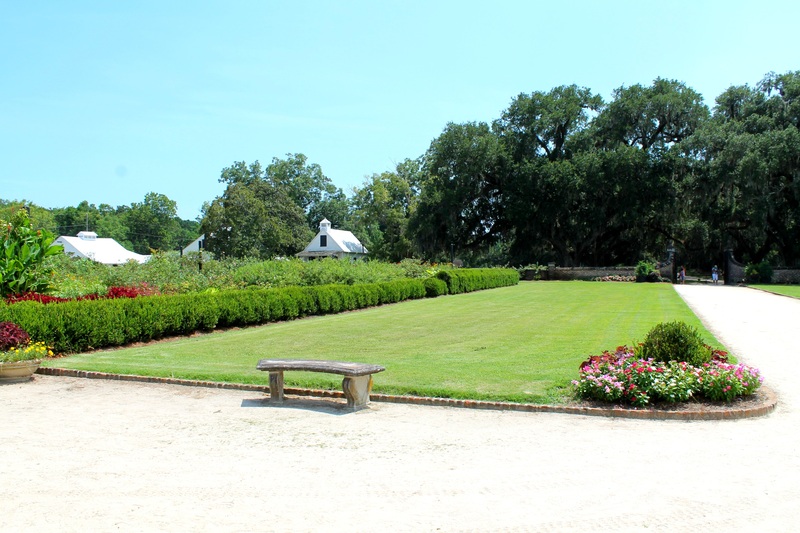 Originally the plantation was an indigo plantation but after a bad year and a sale of the property two brothers turned it into a pecan plantation. After a hurricane and the destruction of thousands of trees, the current owner uses it as a vegetable and fruit plantation. The third house stands on the property, and after seeing all the hundreds of years old homes in the historic section of Charleston, this plantation home looked very modern. Ironically enough we were told during our tour this site (the Avenue of Oaks and the home) was where the outside locations of Allie’s summer home in the Notebook were filmed! I knew I loved the settings of that movie for some reason! Anyways, once parked we scheduled our house tour and went to get something to drink but ended up with delicious homemade strawberry ice cream! Grandpa and I walked around the stunning gardens and toured the outside of the home before it was time for our tour. Yet again, due to the private ownership we weren’t able to take photos inside, but I highly recommend going to Boone Plantation! After the house tour we went on a wagon tour of the agricultural side of the plantation seeing all the crops and discussing more history. As our last stop on the trip, we loaded back up in the car and I happily napped almost all the way home. Charleston is definitely on the short lists of places I would like to move in the South post-graduation. 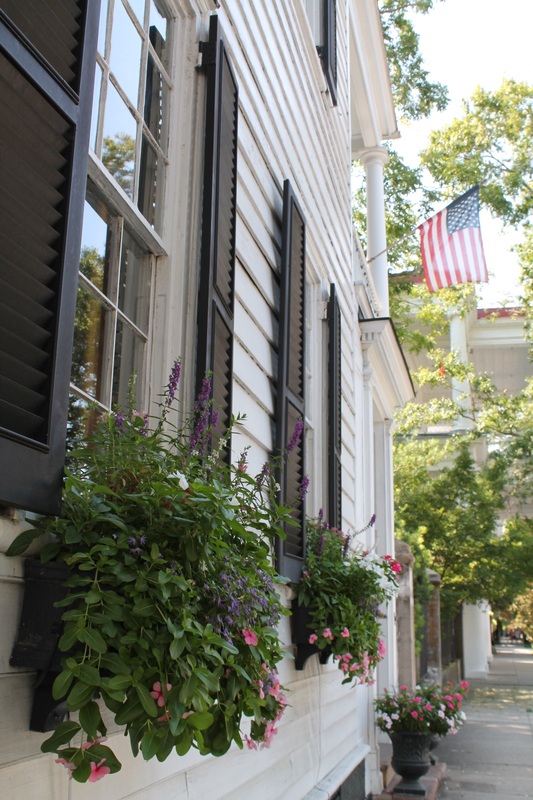 I loved the history, the feel, and the charm that Charleston maintained. Plus the location: hard to beat!